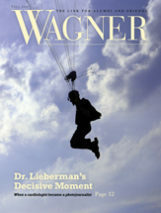 Two professors have taught a First-Year Learning Community every year since the Wagner Plan was launched in 1998. 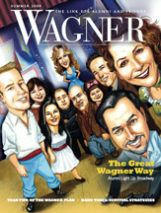 Wagner welcomes Joel W. Martin and his wife, Jan Martin. The Board of Trustees has announced his appointment as the next president of Wagner College. Exhortation from a dynamic educator highlights commencement 2018. 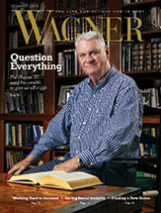 Richard Guarasci announces his upcoming retirement, launching the search for Wagner’s 19th president.